Switchboard Diamond-Top Runner Matting. Electrical Insulator. Non-conductive mat. Non-slip top. 3/16" thick. Dielectric 30,000 VAC. Max usage 3,000 VAC. Switchboard mats are perfect for use in high-voltage environments where workers must be protected from the danger of high voltage shock - where high voltage mats are needed. Switchboard mats act as an electric insulator between the worker and ground by providing strong dielectric properties. Solid PVC diamond surface runner. Aggressive, abrasion resistant diamond pattern provides improved traction. Square corners. Size: 3' x 75' x 3/16"
Conforms to MIL-DTL-15562-G, Type 3. Dielectric strength up to 30,000 Volts (VAC). Recommended Maximum Usage - 3000 Volts (VAC). 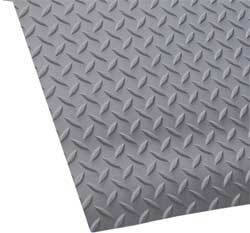 Switchboard mat with diamond top surface. Switchboard mats are perfect for use in high-voltage environments where workers must be protected from the danger of high voltage shock - where high voltage mats are needed. 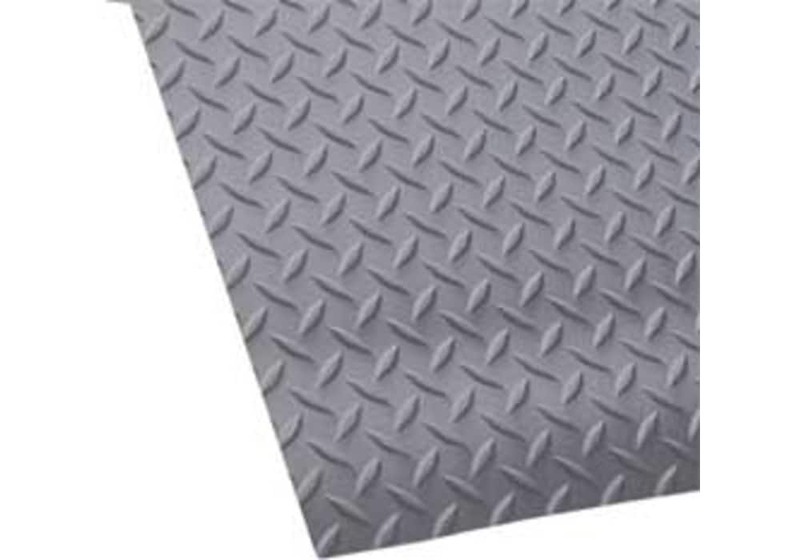 Switchboard mats act as an electric insulator between the worker and ground by providing strong dielectric properties and a high breakdown voltage rating. Solid PVC diamond surface runner. Made to protect workers from high voltage equipment. ISO shipping containers are often converted into portable Conex Electrical Rooms. In those situations, switchboard runners provide continuous electrical shock prevention throughout the entire length of the container. 3' wide. Up to 75' long.